Ah, taking family photos. Having the photos and memories at the end is SO worth it, but can be anxiety producing, especially when you throw a toddler into the mix. I get it. 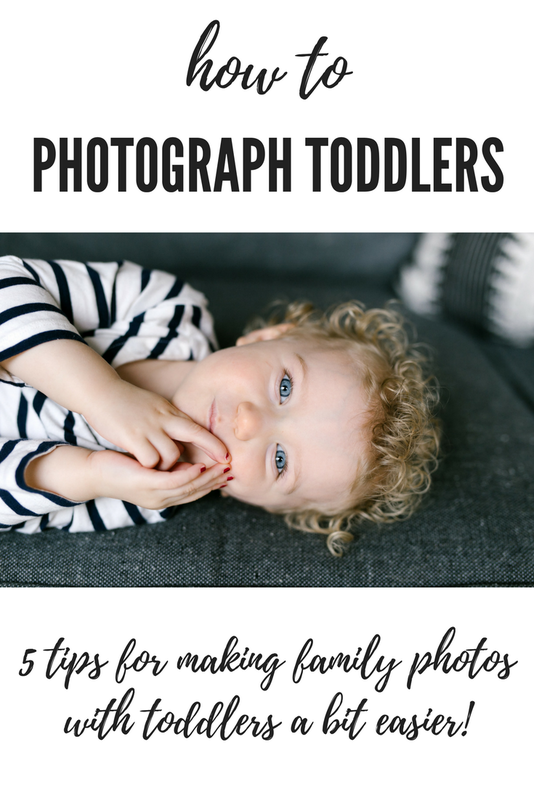 I am a mom of a SUPER energetic little kid and a photographer, so... the perfect person to help! I honestly LOVE photographing toddlers. The unpredictability they bring to photo sessions creates the best moments. So, here are my five tips for preparing yourself and your child for family photos. Dramatically lower your expectations: I'm serious. Do it now and you will be pleasantly surprised and an all together happier human being. Trust your photographer: You might be tempted to give your toddler lots of instructions "look at the camera" "smile" "do this and you can have a cookie later"... but, if you have hired a photographer whose work you love, you can sit back and let them do the work. I have strategies for getting kids where I want them and, when it is the right time, to look at the camera. Preparation: Just like you need to have your coffee, make sure your kid is well fed, comfortable, and knows what is coming. Even the littlest kids benefit from being told what is about to happen. A snack with protein also goes a long way! Activities: Revolve the photoshoot around an activity that your toddler loves. I really love this for any age, but it is especially helpful with little kids. Here are some examples: go to get ice cream, a picnic with popcorn, playing a game, taking care of a babydoll, races at the park, bubble blowing, kite flying. Slow down: I know this is hard, but anything you can do to calmly go into your photo session without rushing is going to help. During your session take it slowly. If you need to take a moment with your child to connect and talk, do it! These moments lead to a happy kid and beautiful photos.